If you are a big kid like me, chances are you watch all kinds of shows meant for kids. Maybe you stumbled upon the Nick Jr station, maybe not, but you will definitely want to after what I have to show you. 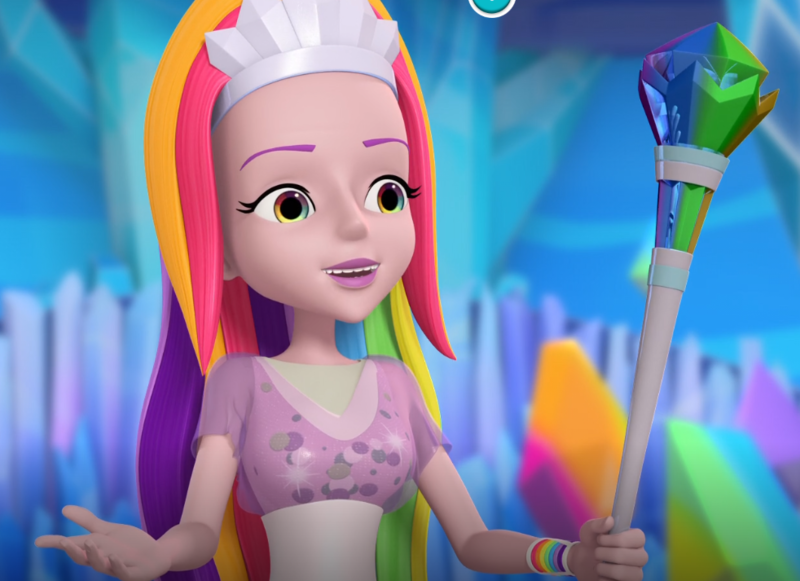 Nickelodeon aired a new series the beginning of this month called Rainbow Rangers created by the production company Genius Brands International. 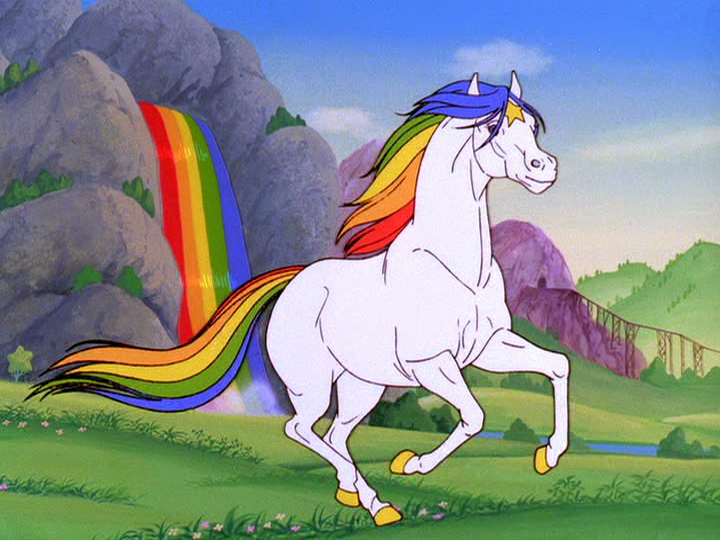 At first what drew me in was the rainbowiness, I’m a sucker for rainbows, So I set my DVR to record and what I got was the biggest sense of late 80’s early 90’s nostalgia throughout the entire show. 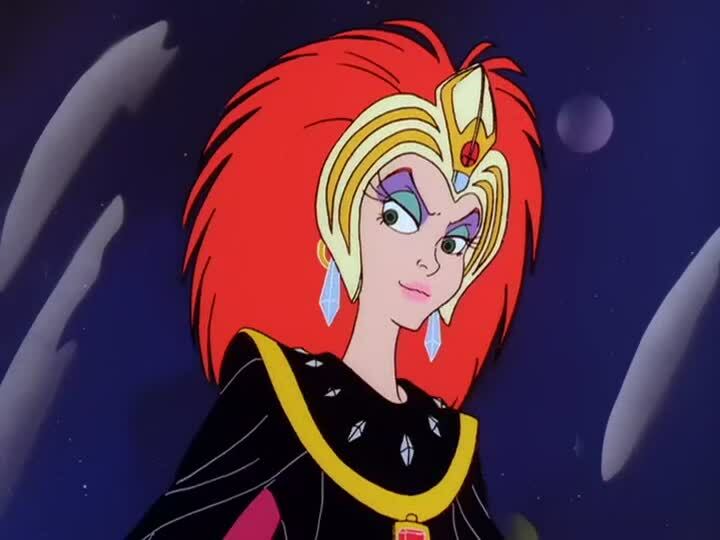 There are definitely people who watched the same cartoons and shows that I did growing up working on this show. The creative team behind this was enough for my interest to peak. 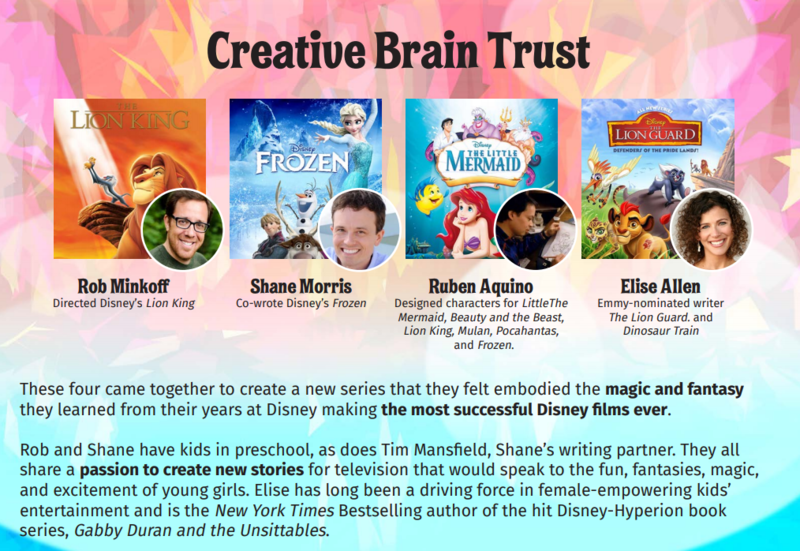 Rob Minkoff who directed Disney’s Lion King, Shane Morris who co-wrote Disney’s Frozen, Ruben Anquino who designed characters for The Little Mermaid, Lion King, Frozen, and many others, and Elise Allen who is an Emmy- nominated writer for shows like the Lion Guard and Dinosaur Train. Shows like Paw Patrol are cute but they are rescue of the day and really don’t teach you a whole lot other than to be kind and be aware. 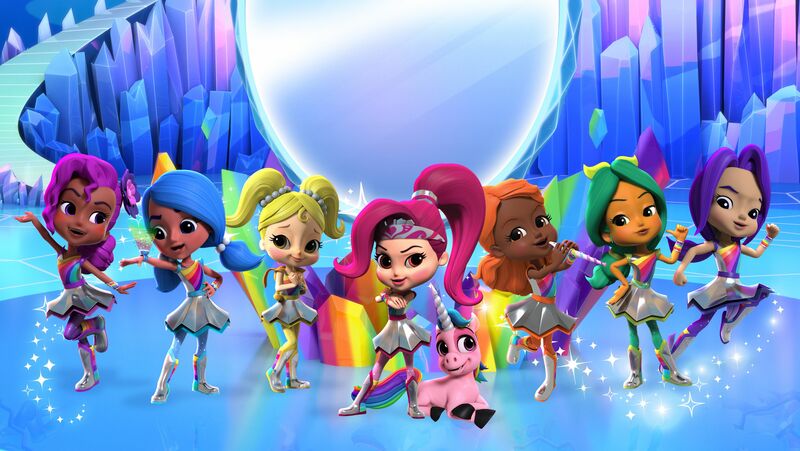 Rainbow Rangers teaches global responsibility and carries the message that diversity is key to overcoming challenges. 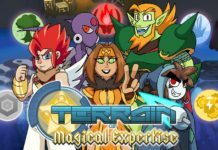 They throw these girls in situations where they have to work together, even though they may not agree on how to do it, and with teamwork they overcome their problem. To me there were some connections that I made between this show and a few of my favorites of the past. I may be projecting but these similarities really made me enjoy the show a hundred times more. It’s in the name. 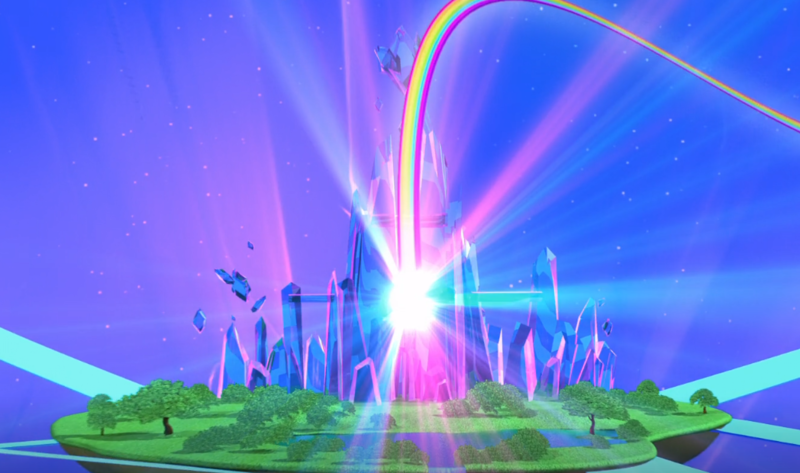 Power Rangers had all their respective color sentai, and the Rainbow Rangers have their colors as well. 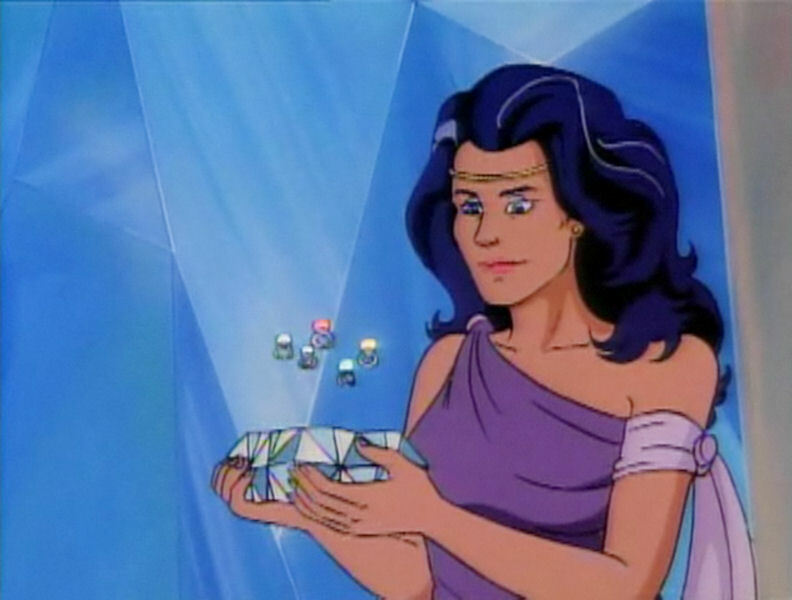 What really stuck out to me though were the communicators that they wear. 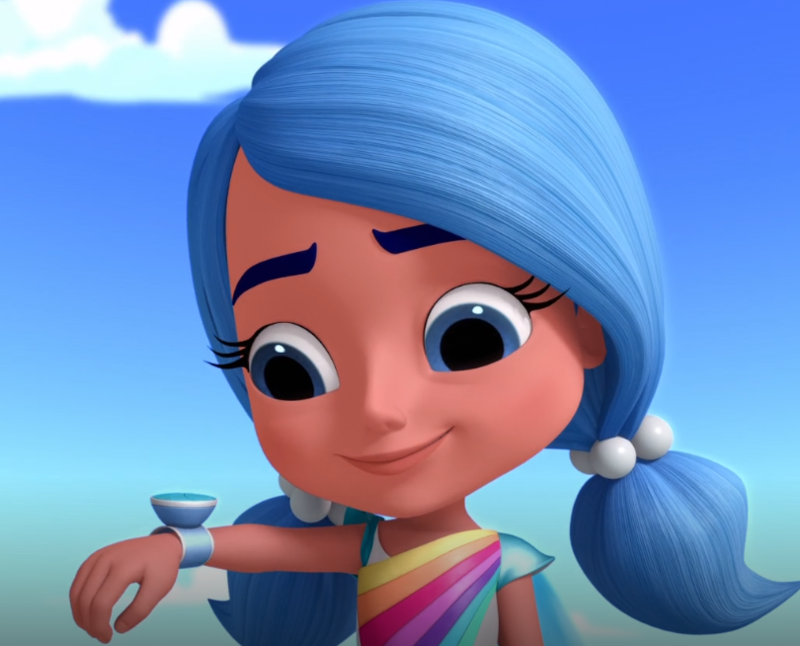 Kaleido-Coms light up whenever Kalia needs them and while she doesn’t talk to them through it, it does play a cute little tune. When the world needs help Kalia sends them a distress message on their communicator, much like Zordon does with the rangers. 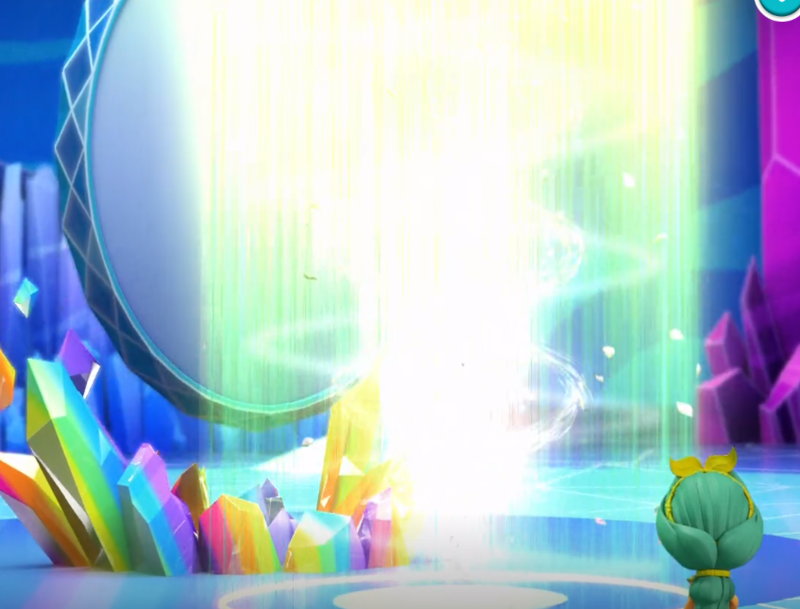 The way she beams down is reminiscent of the big Z man as well. The Crystal Command Center is where they all meet and is totally their version of any command center on tv thus far. Only difference being it is much more homey looking, Bean bag chairs, the works. The Blue one is the brainy one. Like Billy in the Power Rangers, Bonnie Blueberry “BB” is the logician. Her quote is “There is only one logical answer” which warms my heart because *cough I love spock* and Billy from the Power Rangers was my favorite. “Captain Planet, he’s our hero! 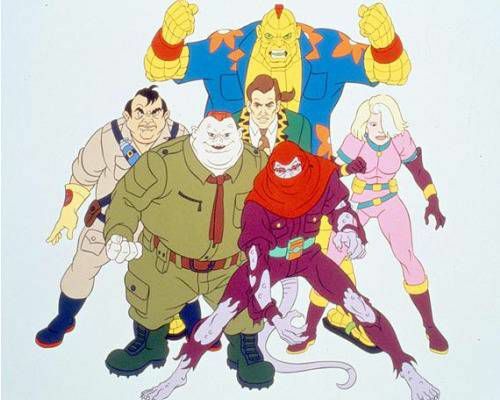 Gonna bring pollution down to zero!” Man I loved that show. 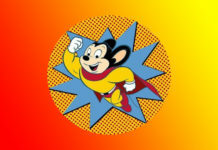 Rainbow Rangers ultimate mission is to be Earth’s first responder to any type of nature crisis. In “Turtle in a Net” they get called away to clear debris of a beach. They clean up all kinds of trash. 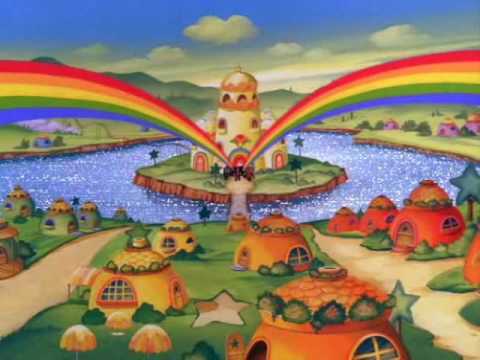 Captain Planet and Rainbow rangers are pretty much the same, it’s just that Rainbow Rangers is animated much more cutesy and is more relevant to what the kids these days are into. 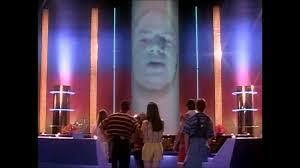 I mentioned that Kalia zips down like Zordon but really she is just the Rainbow Rangers version of Gaia. She is the mission giver and the one that keeps everything in balance. She is the central reason for the team working collectively to clean up the messes on Earth. 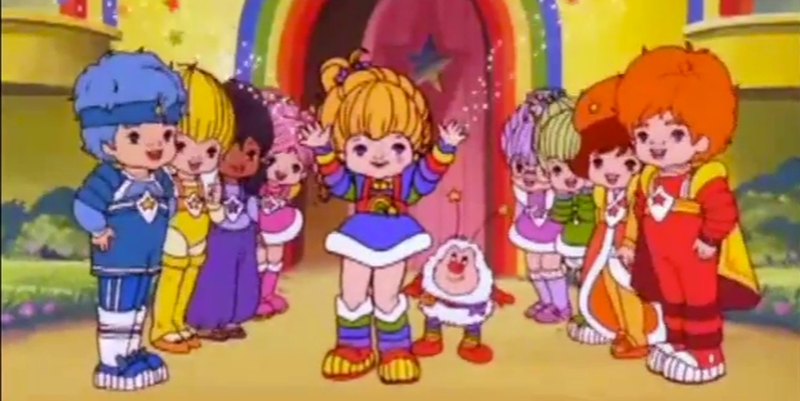 The third and most obvious one *I think is the similarities between Rainbow Rangers and Rainbow Brite. 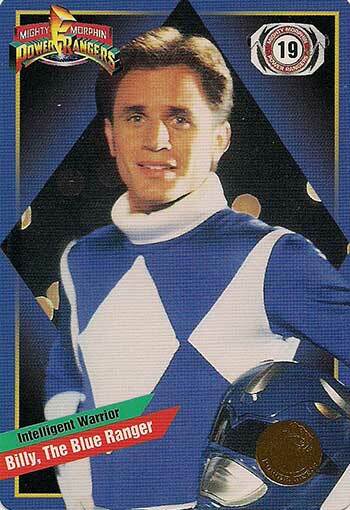 For one the Rangers scream Color Kids to me. 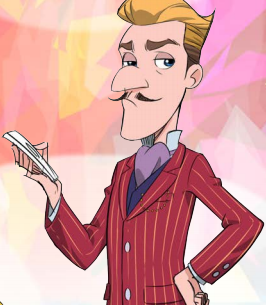 Even down to the character designs. The world in which they live is separated from earth by guess what.. A rainbow. They live apart from the Earth and monitor it from above using the Mirror of Marvels. 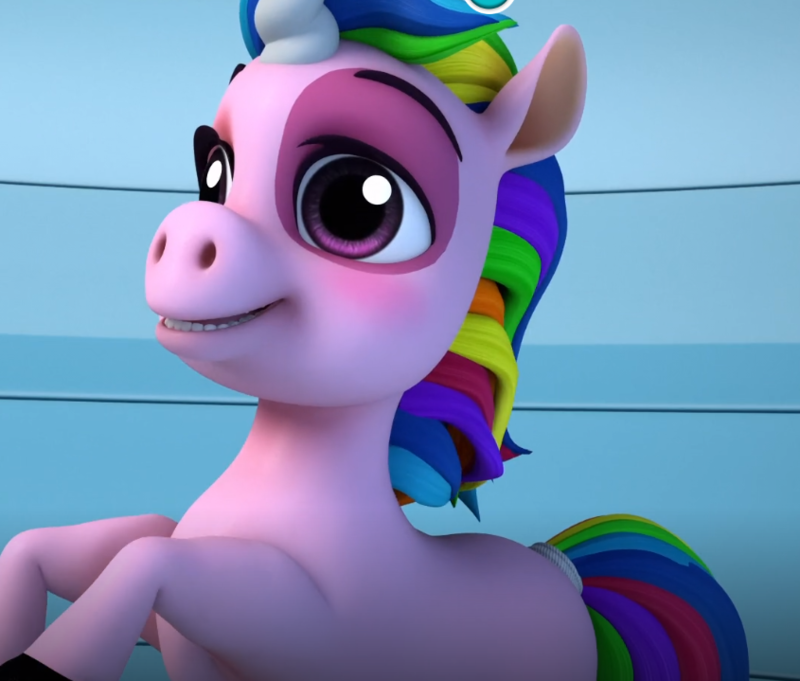 Floof is basically a less articulate version of Starlite. 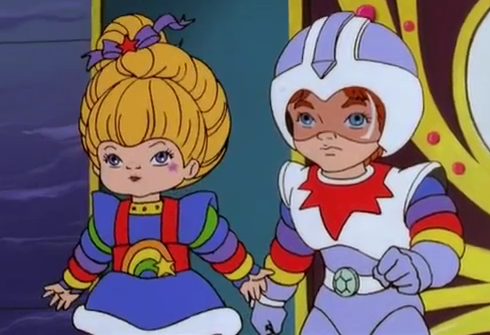 Starlite being Rainbow Brite’s horse and companion, and Floof being the sidekick to all of the Rangers. I wish he was a little more like Starlite in the way that he can’t talk, he can only say “floof” and they don’t ride him. 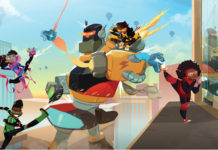 Instead he rides on the back of their air scooters, Spectra-Scooters. Speaking of Krys, their whole outfits when they transform reminded me of something similar to Krys’ Spacesuit. They look like a combination between that and some type of fashion out of Zenon. Remember that Disney Channel Movie? I would throw in that it also looks a bit like the Sailor Moon Fukus but that would take me on a whole other tangent. 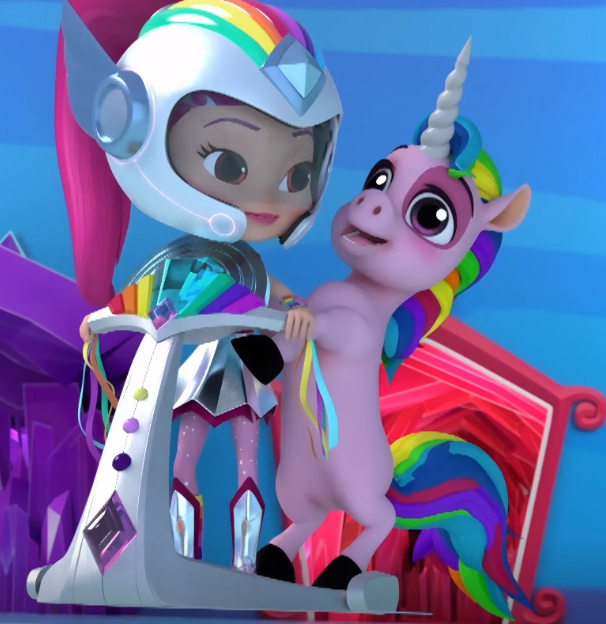 Rainbow Rangers is not like other Nick Jr. shows. It is much more watchable for adults than you would think just by looking at it. Give this a chance and take a peek or maybe if you have kids put this on your to watch list. 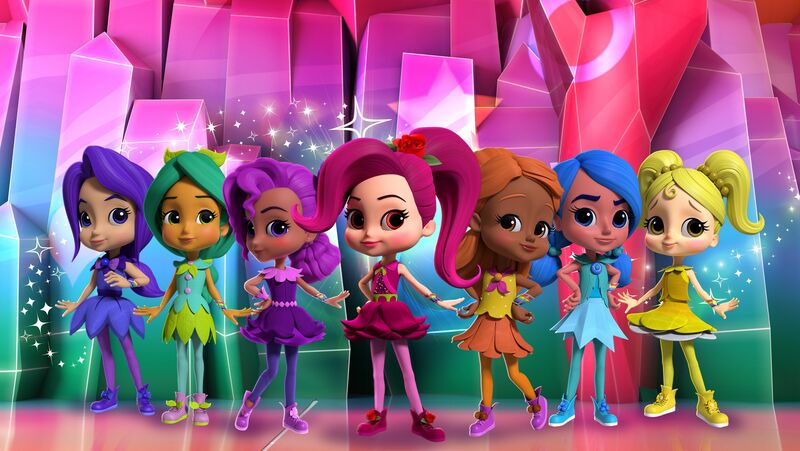 You can check out Rainbow Rangers on Nick Jr or you can watch it on the Nickjr App. Check your local listings for show times.